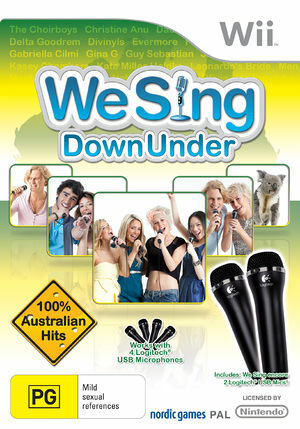 We Sing Down Under is a 2011 music video game, part of the We Sing series. The game features 100% Australian artists and was planned to only be released in the Australian PAL territory; however it received a European release the next year. The graph below charts the compatibility with We Sing Down Under since Dolphin's 2.0 release, listing revisions only where a compatibility change occurred.